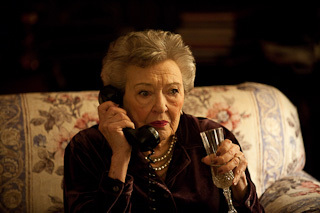 A reclusive, elderly widow, Anna Marshall (Viola Harris), lives in quiet desperation following her husband's death until she begins receiving daily phone calls from a silent stranger. At first finding the calls intrusive, Anna soon finds herself waiting for the phone to ring with growing anticipation each day. This prompts her to reach out to her silent prankster, and an odd, mysterious friendship evolves. But when the calls abruptly end, a devastated Anna is compelled to do something quite surprising to fill the unbearable void.